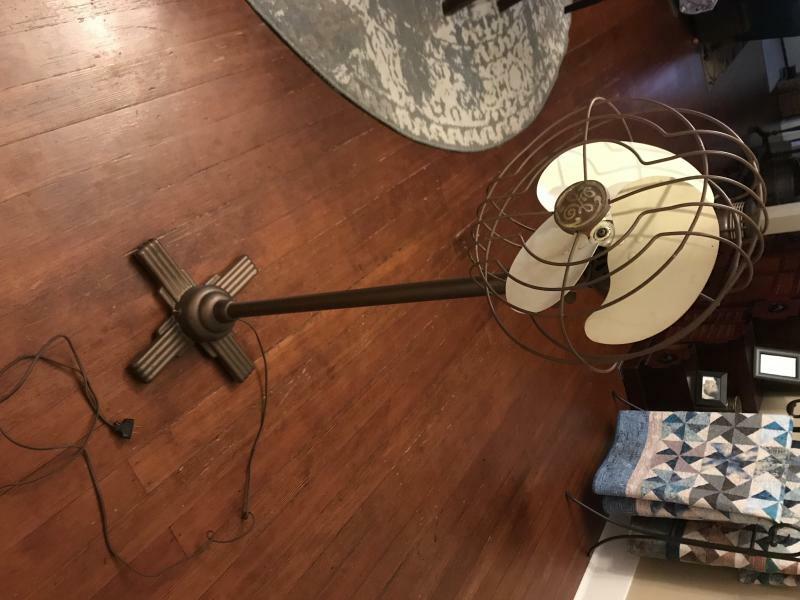 AFCA Forums > Antique Fan Collectors Association > Pre-1950 (Antique) > GE Art Deco pedestal fan.... I’m kinda clueless, any info appreciated! I’d find a good rear housing from a desk fan and swap it out. 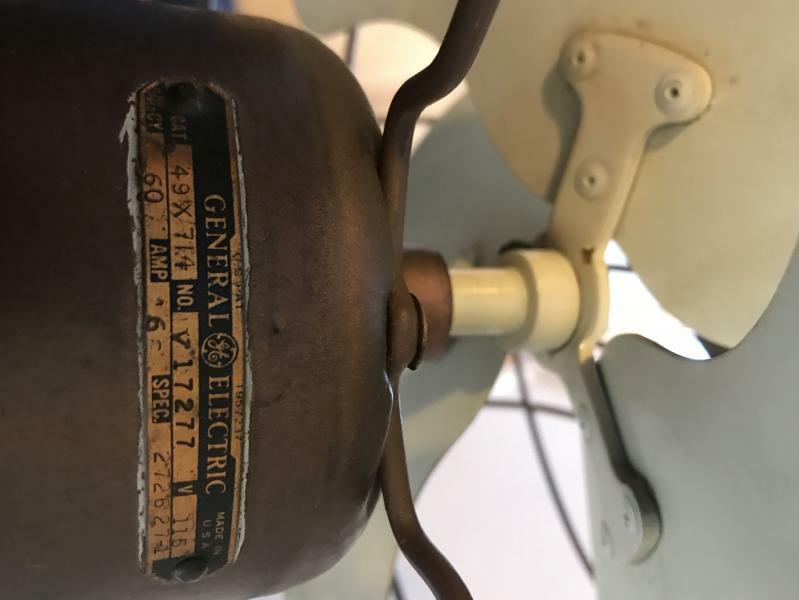 What you have there is a second generation Quiet Blade Pedestal Fan that dates to about the mid to late 1930s (the Quiet Blade fan was introduced in 1931 if I remember right) And the fact that the oscillator gearbox broke where the oscillator arm exits the gearbox tells me that the fan must of fallen backwards at somepoint in time in its life which apparently then broke the pot metal gearbox assembly. Pot metal as you may or may not know is a zinc/aluminum alloy metal that is very brittle especially as it ages because when it gets exposed to moisture it causes the metal to expand which then causes it to become extremely brittle and just the slightest shock to the pot metal will cause it to "shatter". Thanks again for the information Levi! I’m not sure how hard it will be to find a back, but it’s a great runner and I love the look of it. The lady that owned it said it had been in her family since new. What basic maintenance is necessary on these? 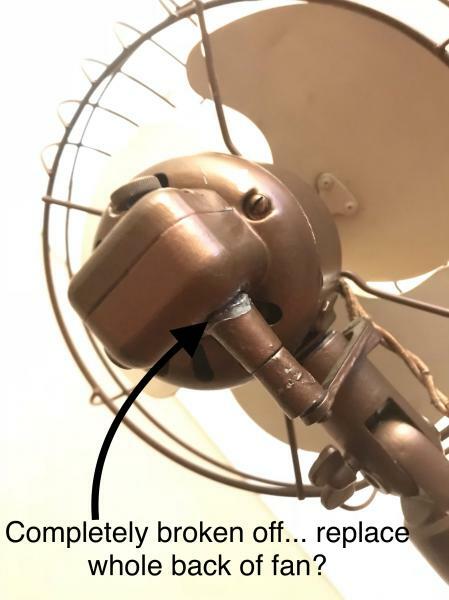 Basically the way to maintain this fan is the same as you do other fans like it, which is to make sure the bearings are properly cleaned and lubed using 3-in-1in the blue can, or Zoom! Spout oiler, and normally I would say clean and repack your gearbox with fresh grease but since your oscillator gearbox is broke you don't have to worry about that currently. Page processed in 0.1460 seconds (11% database + 89% PHP). 27 queries executed.